Having attended and/or taught at different seminaries, my experience at Northern as a student was really the highlight of my education,” Gary Sattler shared. Glowing words from a man of high honors and letters: Gary received his M.Div. at Northern and holds BA, Th.M., Dr. Theol. and Psy.D degrees. 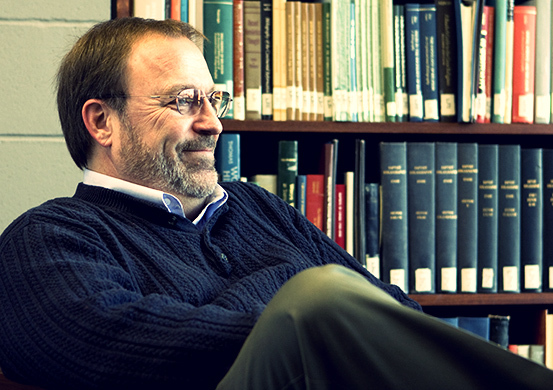 Some of his accomplishments include teaching and ministry positions, professional and church committee memberships, lectures on religion and psychoanalysis in the United States and Europe, a score of articles and book reviews, and 2 books on the Pietists. From its beginning in 1913, Northern has blended head and heart, making Northern a deeply unique and abundantly enriching place. Gary’s words invoke the remarkable history Northern Seminary has created over the past 100 years.